Americans Say Congress Listening to All the Wrong People - Integration Through Media ....! (VOA): Looking for common ground with your neighbor these days? Try switching subjects from the weather to Congress. Chances are, you both agree it's terrible. In red, blue or purple states, in middle America or on the coasts, most Americans loathe the nation's legislature. One big reason: Most think lawmakers are listening to all the wrong people, suggests a new study by researchers at Stanford University and the University of California-Santa Barbara with the Associated Press-NORC Center for Public Affairs Research. "We have the best Congress you can buy and pay for," said Chester Trahan, 78, of Palm Coast, Florida. "Congress, they're subject to the special interest groups and that's really who's running the show." Hating Congress has become a lasting feature of American politics, regardless of which party is in power or whether the 435 House members and 100 senators pass lots of legislation — or don't do much of anything at all. 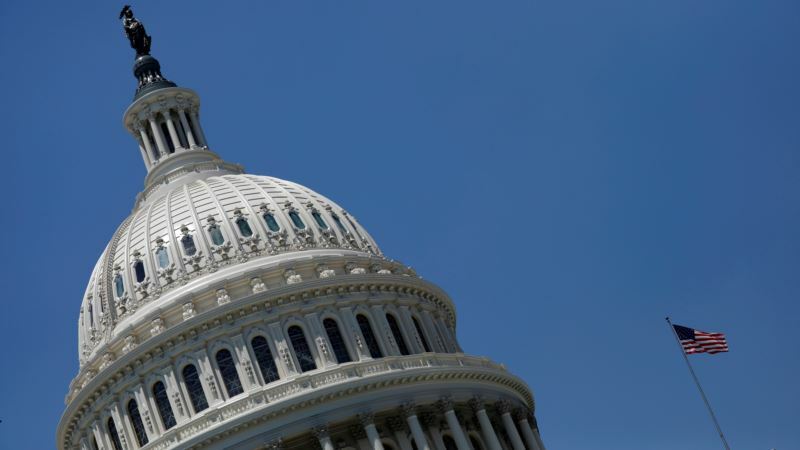 A new poll from the AP-NORC Center found that 85 percent of Americans, including 89 percent of Democrats and 82 percent of Republicans, disapprove of the job Congress is doing. That might matter in this midterm election year, as Republicans defend their majorities in the House and Senate. In the study by Stanford, UC-Santa Barbara and the AP-NORC Center, which was conducted in 2015 and again in 2017, only about 2 in 10 said they think Congress pays much attention to their own constituents or Americans as a whole, or even give much consideration to the best interests of those people. Instead, most said Congress does listen to lobbyists, donors and the wealthy. That's exactly the opposite of the way people think Congress should function, the study found. The highest levels of disapproval came from Americans who felt the largest sense of disconnect between whom they think Congress should listen to and whom they believe Congress actually listens to. That disconnect played out in the public square last week as the nation reeled from yet another mass shooting — this time, the Valentine's Day killing of 17 people at Marjory Stoneman Douglas High School in Parkland, Florida. Many raged over what they see as the National Rifle Association's power to stifle efforts to tighten gun laws, including a ban on assault rifles. "Can you tell me right now that you will not accept a single donation from the NRA?" student Cameron Kasky demanded of Sen. Marco Rubio, the Florida Republican who appeared on CNN's "Stand Up" town hall. Rubio, one of the gun rights groups' top beneficiaries over his political career, would not make that pledge. Nor have other congressional Republicans, who are overwhelmingly favored by gun rights supporters when it comes to campaign contributions. The disillusionment is not just about guns, and it's not new. Democrats and Republicans alike see members of Congress as mostly listening to elites and donors rather than the ordinary people they represent. Congress has rarely been especially popular in polls conducted over the past several decades, but approval of the House and Senate's performance has been particularly low over the past several years. In polling by Gallup, Congress' approval rating has been below 20 percent for eight straight years. Americans are more likely to approve of their own member of Congress than of Congress generally, but even that rating is less than stellar. In the latest AP-NORC poll, 44 percent of Americans — 41 percent of Democrats and 50 percent of Republicans — approve of the person representing their district. American apathy toward their lawmakers has become an area of scholarly study, with some researchers contending that when Congress doesn't act, it's often representing a divided electorate that can't resolve disagreements, either. That certainly describes the United States now, which is deeply divided over such uncomfortable matters as immigration, gun control and President Donald Trump. Even with Republicans in control of the presidency and the House and Senate, Congress passed just one significant piece of legislation during Trump's first year in office — a $1.5 trillion overhaul of U.S. tax laws that Republicans hope will begin to boost American paychecks this year. "It is not crumbs,'' Trump said earlier this month in a brushback to Democratic efforts to campaign against the tax cuts. In November, voters cast ballots for every House seat and 34 in the Senate. And it's fair to say plenty of members of Congress have had enough of Congress, too — including more than 50 House members who have opted to leave rather than seek re-election. Among the other reasons for all the Congress hate, fewer than 2 in 10 Americans in the new study said they think Congress passes mostly good laws. The remainder considers congressional output to be at best neutral, with over a third seeing it as mostly bad. At the same time, Americans who felt Congress should be passing either more laws or fewer of them were far more likely to disapprove of Congress than those who felt the number of laws passed by Congress is about right. "Most of them have got it wrong," said David Peterson, 67, a Republican-leaning Vietnam veteran from Torrance, California. "The fact that Congress can't seem to come to grips with health care, can't seem to come to grips with immigration, can't seem to come to grips with legislating firearms. It makes me less optimistic." The study was conducted in 2015 and 2017 using samples drawn from NORC's probability-based AmeriSpeak Panel, which is designed to be representative of the U.S. population. Funding was provided by the Woods Institute for the Environment at Stanford University and by NORC. The most recent AP-NORC poll of 1,337 adults was conducted Feb. 15-19 using a sample drawn from NORC's AmeriSpeak Panel, and has a margin of sampling error for all respondents of plus or minus 3.9 percentage points.